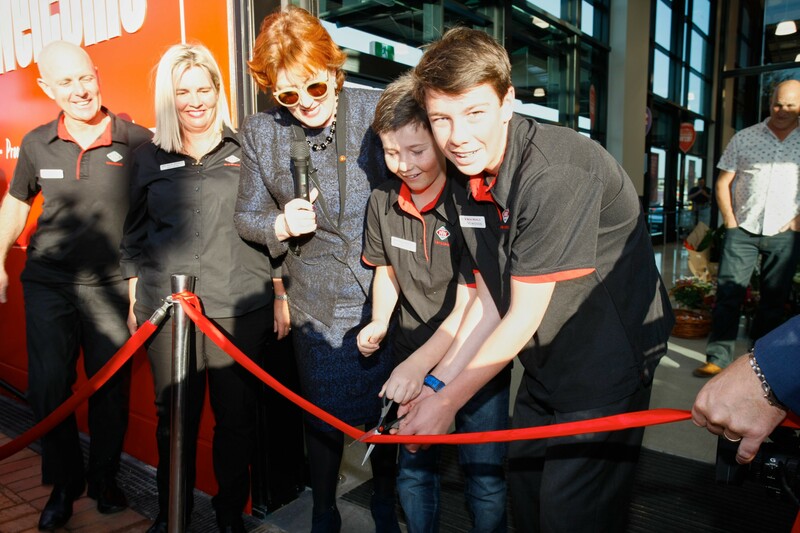 The re-built Milford New World, 40 percent bigger than its 52-year old predecessor at 2,340 sqm, was opened this morning by North Shore MP Maggie Barry. Owner-operator is Sarah Aston who took over the old Milford store in 2010, after several years owning Oneroa Four Square on Waiheke Island. The 90 strong staff is a far cry from the original Hill & Coldicutt original store opened in the early 1960s. “Milford New World opened in 1964 and was the first New World-branded store in Auckland; after 50 years, we thought it was time to update the store to provide our loyal customers with an exciting new supermarket, full of natural light and lovely wide aisles,” said Tony Catton, acting general manager, property development, Foodstuffs North Island.